Please note: A £10 non-refundable deposit is required per person. 3 course meal – papadoms and condiments, mixed starter, main course hot buffet selection, plus coffee. 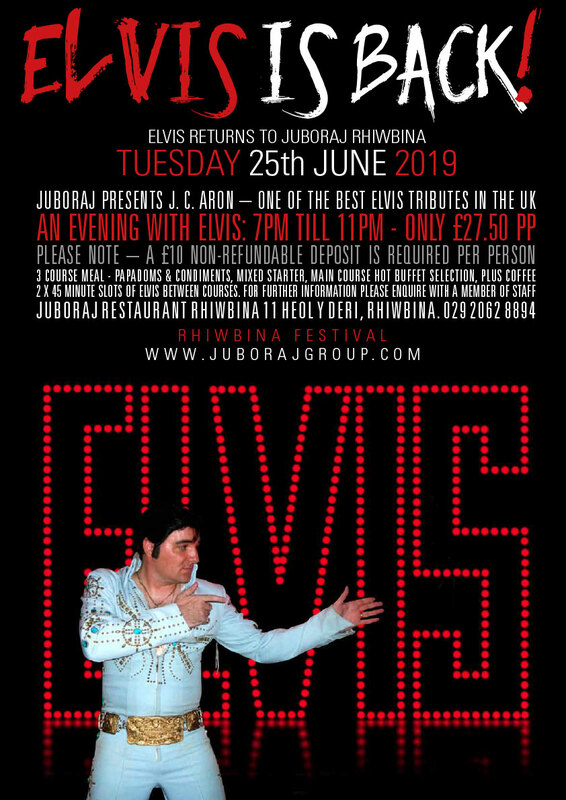 2 x 45 minute slots of Elvis between courses. Finalist in: Battle of the South 2008 | Finalist in: Blackpool’s European Championship | First Place: London’s Elvis Competition – with Donna Presley judging! Return to Sender, Don’t be Cruel, Paralysed, Did you Ever, G.I. Blues, I need your love tonight, I can’t help falling in love with you and many, many more!